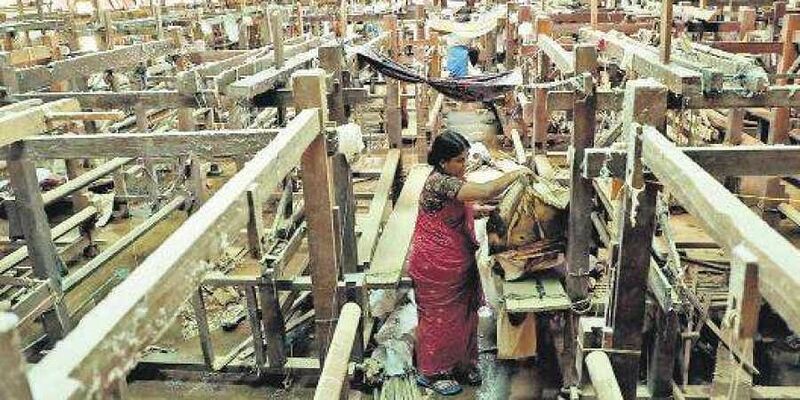 KOCHI: The Indian Chamber of Commerce and Industry has reached out to help rejuvenate the Chendamangalam Handloom Society which was ravaged completely by the calamitous floods. Chendamangalam is historically famous for its handloom craft with close to 600 weavers spread across five societies engaged in traditional weaving. The GI tagged textiles from the region were already gasping due to factors such as rising costs, threat from powerloom fabrics and, more importantly, unavailability of skilled manpower. That is when nature unleashed its fury, submerging almost the entire handloom machinery. More than 100 looms were damaged fully in the floods and what remained were the loom frames and thoughts of a daunting future for the 550 odd families in Chendamangalam. Stocks worth `75 lakh to `1 crore, including finished products like dothis, sarees and two-piece sets were drenched. The Chamber had adopted 12 looms which were repaired and put back into action. The Indian Chamber of Commerce and Industry in Cochin, which was instrumental in many calamity relief activities, took note of the situation and came forward to help restore the looms in Chendamangalam. “We are looking at restoring the livelihoods of the weavers here, rather than offering short term gain,” said Chamber president Madhusudan Gupta while handing over cheques towards the repair of machinery at Chendamangalam on Thursday.